Long time no see! In this muggy summer Friday (seriously, London. Enough with the clouds!) we’re finally getting ready for another weekend. Our highlight will be the Bushstock Festival in west London, where we’ll try to catch up with the hypest new coming acts in town. Will we find the new Hozier? Stay tuned. In the meantime, here’s a Friday track to set the mood. It’s not as funky as the ones presented in the past, but let’s say that considering it’s mid June, it’s cloudy and I still wear my leather jacket to go out in the evening, this song kinda gives the idea. Jamie Cullum here is in his “pop moment” , and although “Momentum” is not one of my favorite albums, I really like “Take Me out Of Myself”. It’s ironic and fast paced. It’s not as classy and romantic as “Gran Torino”, but it still sends a message. So, you and I should go and get so high tonight, just like everyone else. Ci rivediamo dopo molto tempo! In questo afoso venerdi d’estate (Londra, basta con ste nuvole per cortesia) siamo pronti per goderci un nuovo weekend. Il highlight dei prossimi due giorni e’ il Bushstock Festival nella zona Ovest di Londra, dove ti aggiorneremo sugli ultimi fenomeni musicali londinesi e chissa’, magari troviamo il prossimo Hozier. Nel frattempo, ecco un brano per questo venerdi’ sera, che non e’ funky e allegro come quelli presentati di solito, ma considerato che siamo a meta’ giugno, e’ brutto tempo e alla sera indosso ancora la giacca di pelle diciamo che questa canzone rende l’idea. 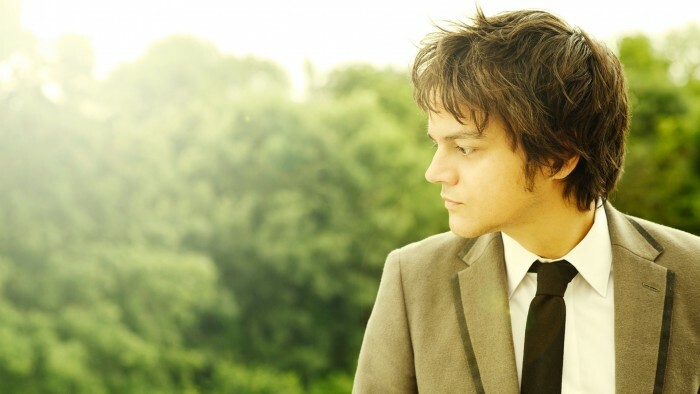 Jamie Cullum qui si trova nella sua “fase pop”, e nonostante “Momentum” non sia il mio album preferito, “Take Me Out Of Myself” mi piace un sacco. E’ ironica e ritmata al punto giusto. Non e’ raffinata e romantica come “Gran Torino”, ma passa comunque un messaggio. Quindi, “you and I should go and get so high tonight, just like everyone else” (=io e te dovremmo uscire stasera e ubriacarci, proprio come fanno gli altri”.